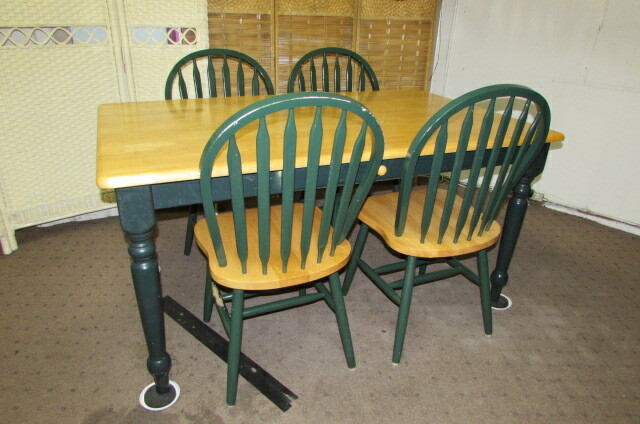 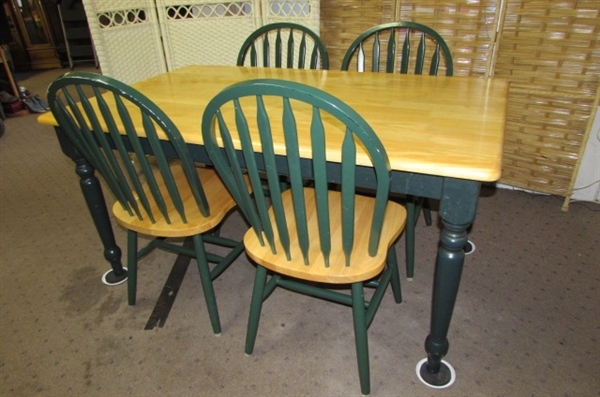 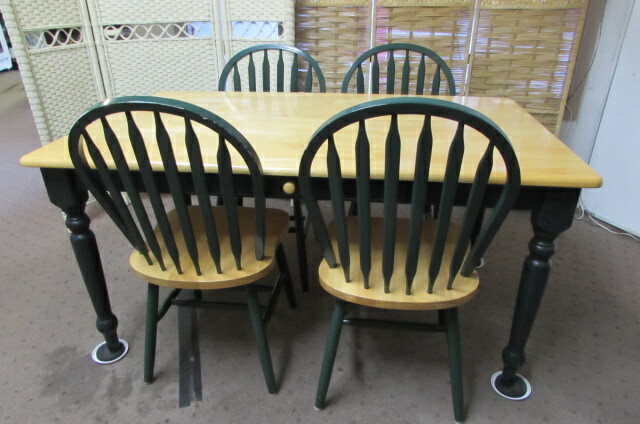 Nice pine breakfast table with 4 chairs. 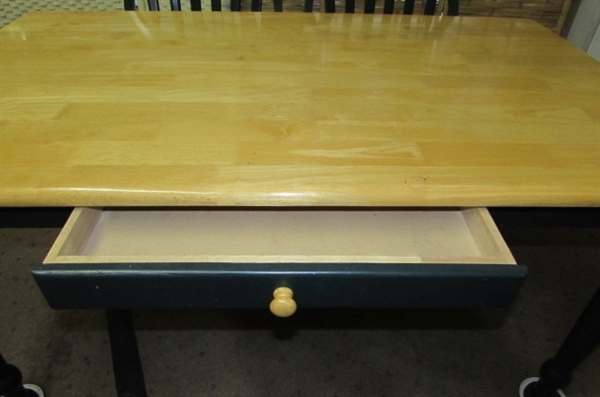 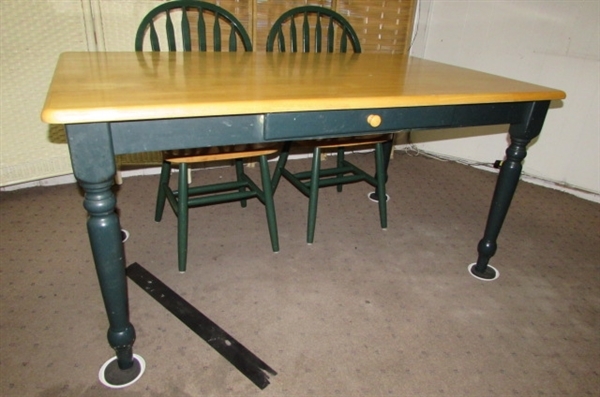 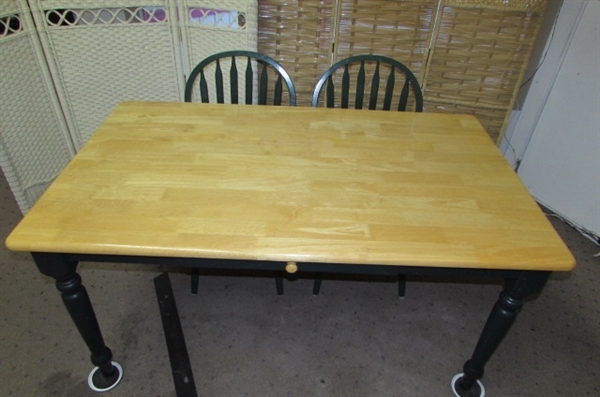 Table has a drawer to hold your placemats/linens. 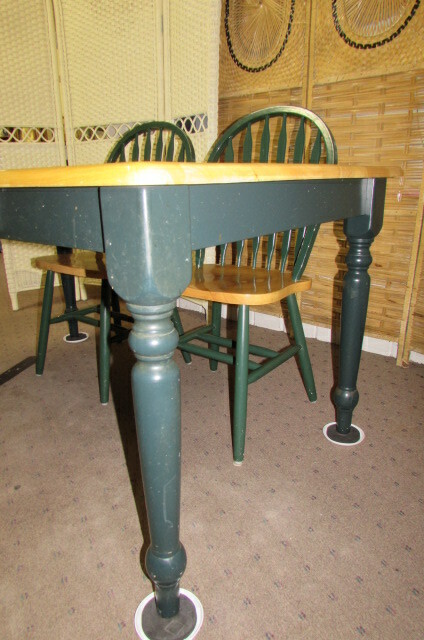 Turned legs are painted forest green. 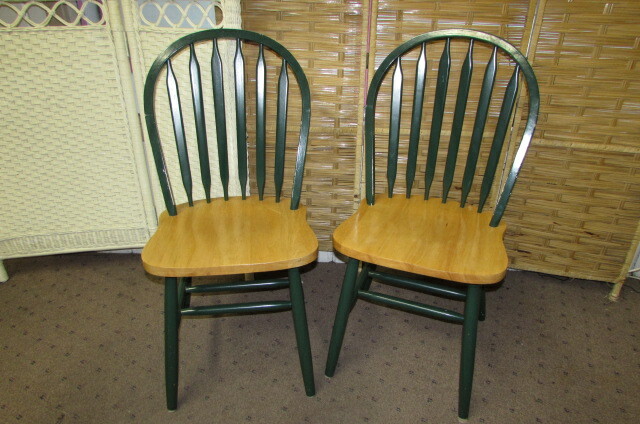 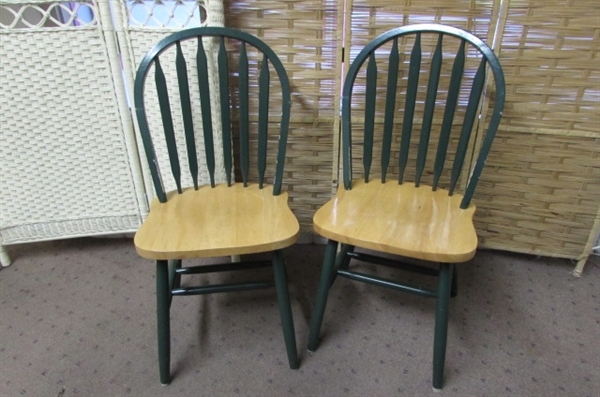 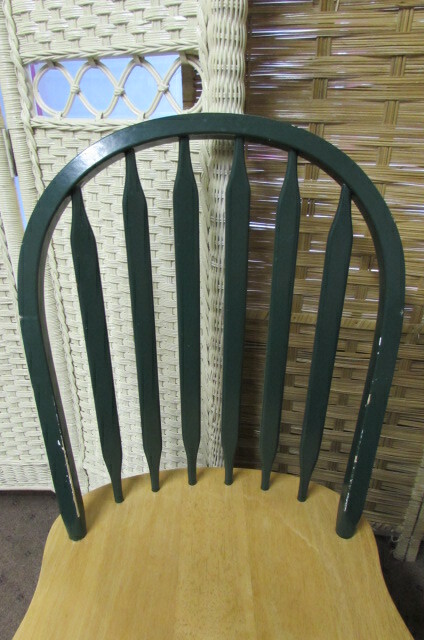 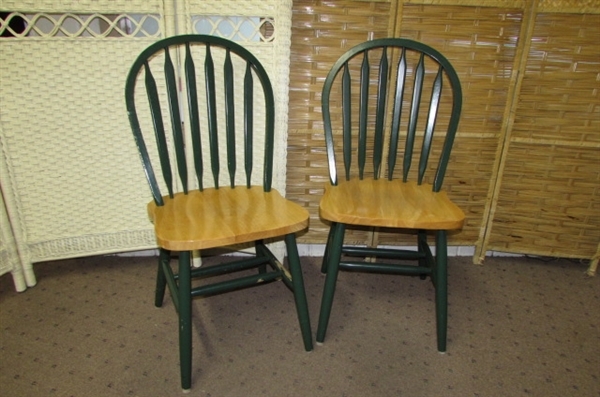 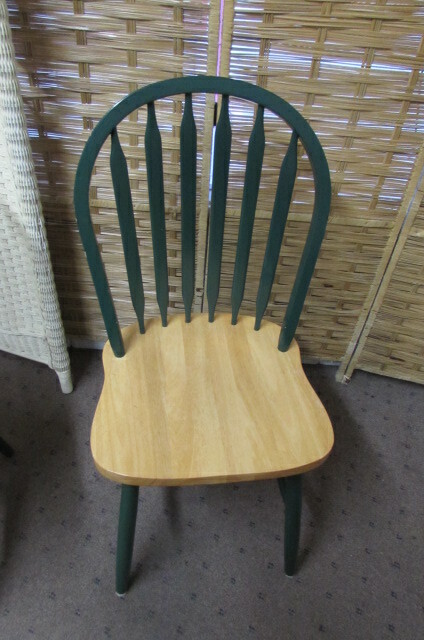 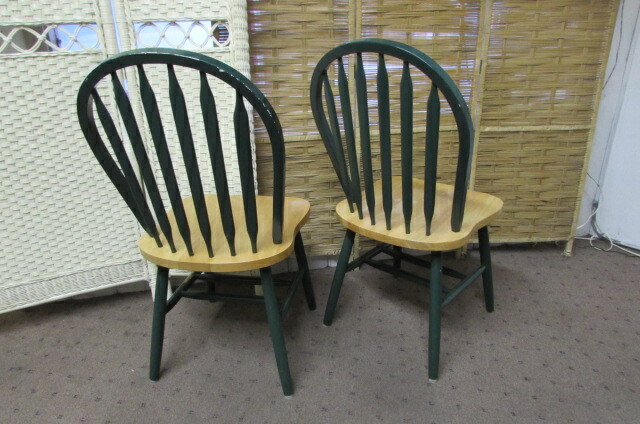 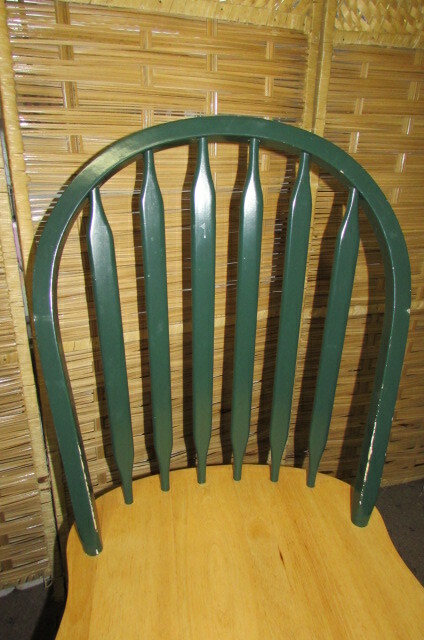 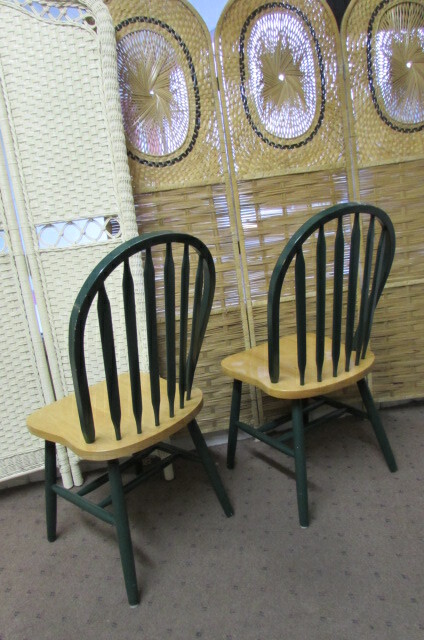 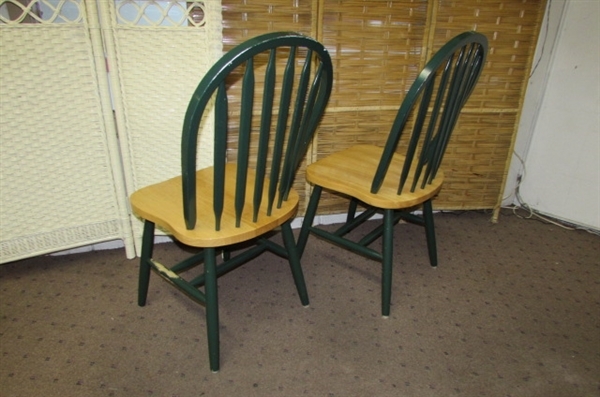 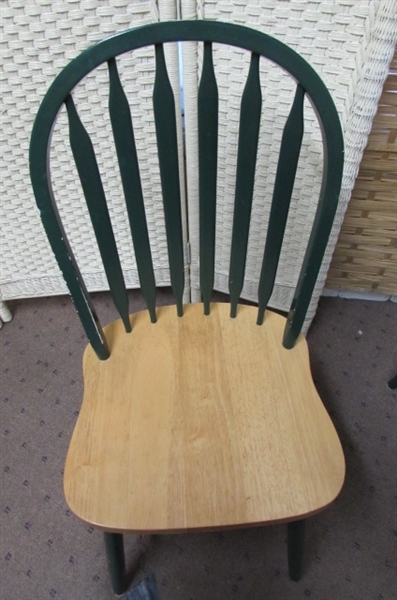 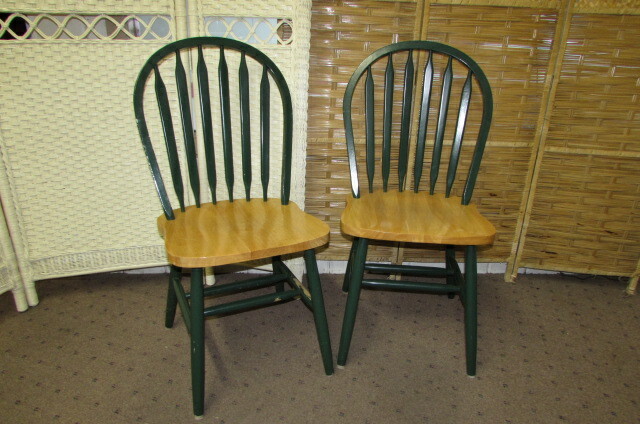 Chairs have natural pine seats with forest green base and backs. Table measures 5' x 35.5" x 30" tall. Chairs measure 18" x 18" x 37" (back) x 18" seat. 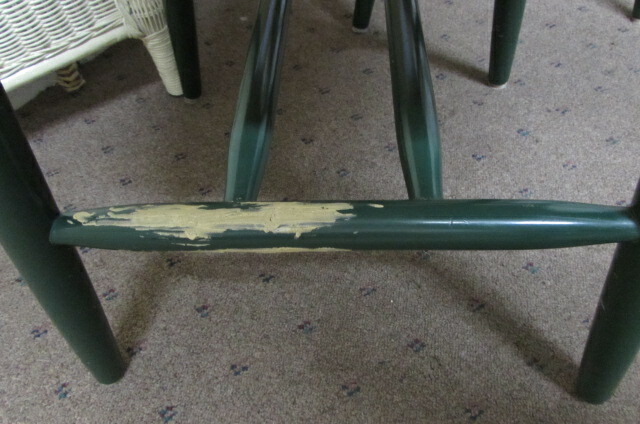 Some wear/scratches from use and one chair has wood putty on a base support. Great for the breakfast area or country home!